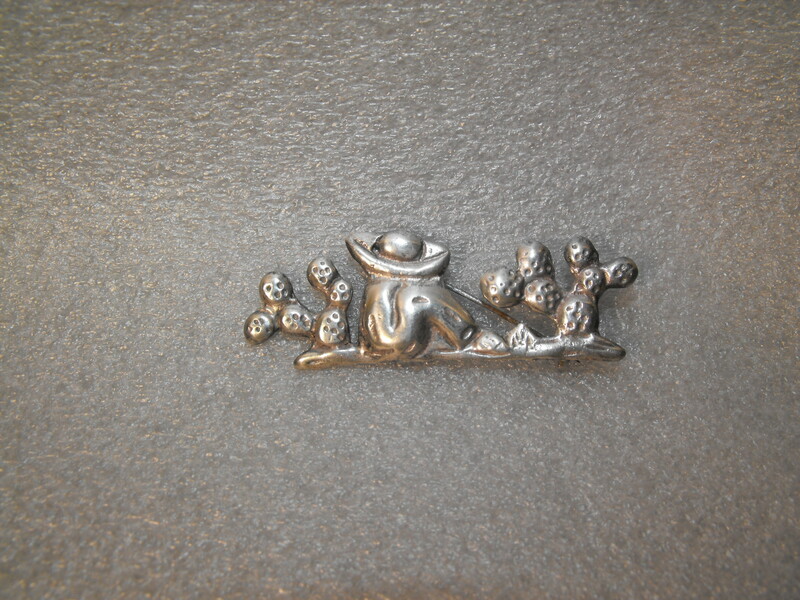 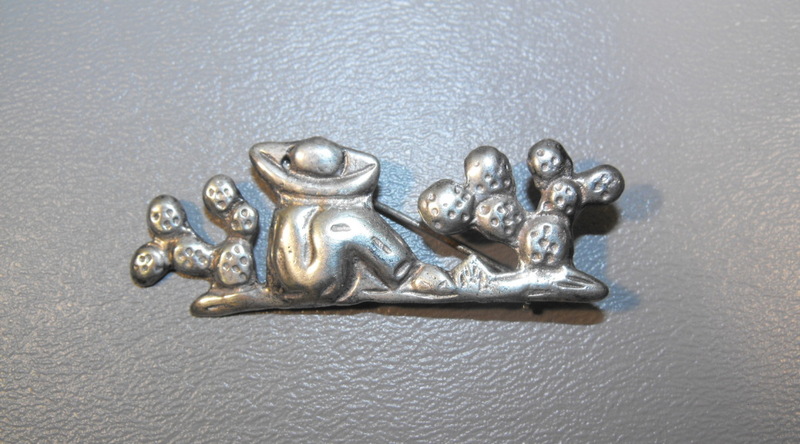 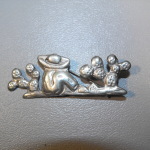 It’s siesta time way down south with this delightful pin depicting a Mexican having a siesta among the prickly pear cacti. 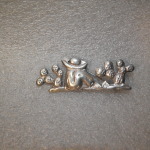 We gauge this collectible pin to have been made in the 40’s or early 50’s and is Sterling Silver and signed on the back “Mexico” Silver”. 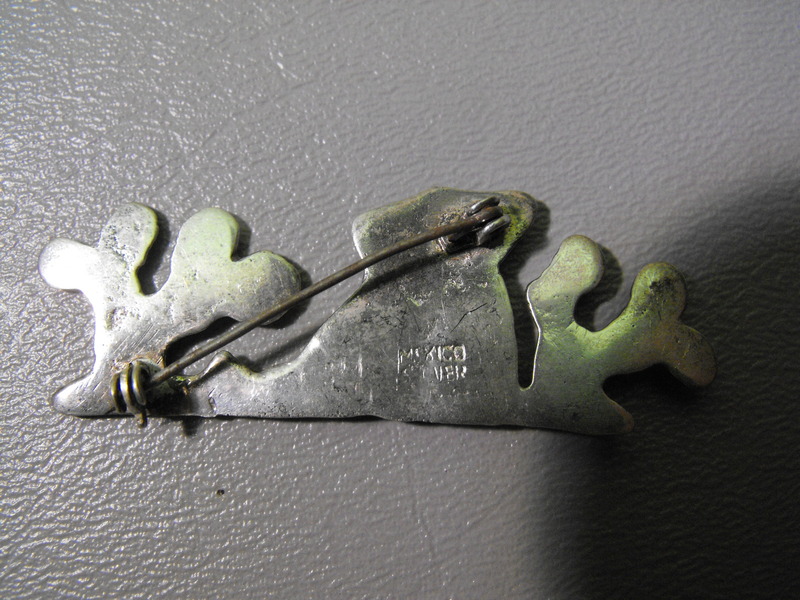 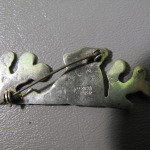 The pin measures about 2 1/4″ long about 3/4″ high. 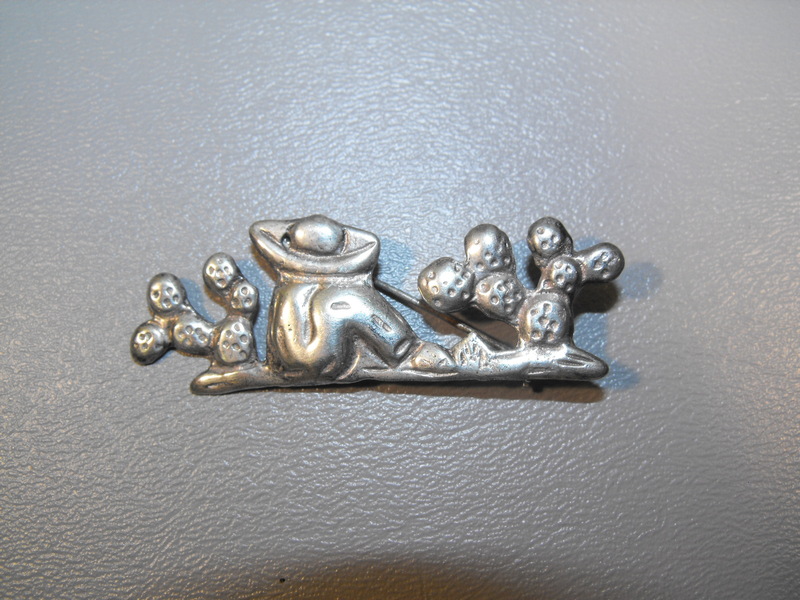 The detail in the pin is pretty clear and we think it would make a nice addition to your silver collection. 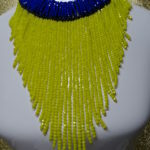 So make a statement by telling the world, you know how to relax.